Now that Nick has installed the rear drawers, we can re-stock them with various essentials. 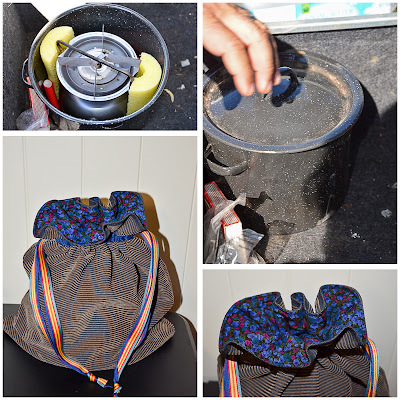 Our kettle, small dual-fuel stove and beverage case were some of the first items packed. 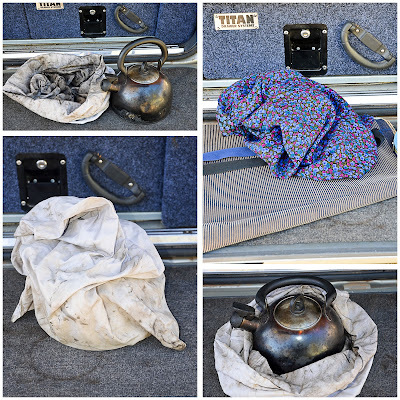 Although we used a billy on the little stove initially, we decided a kettle was safer. 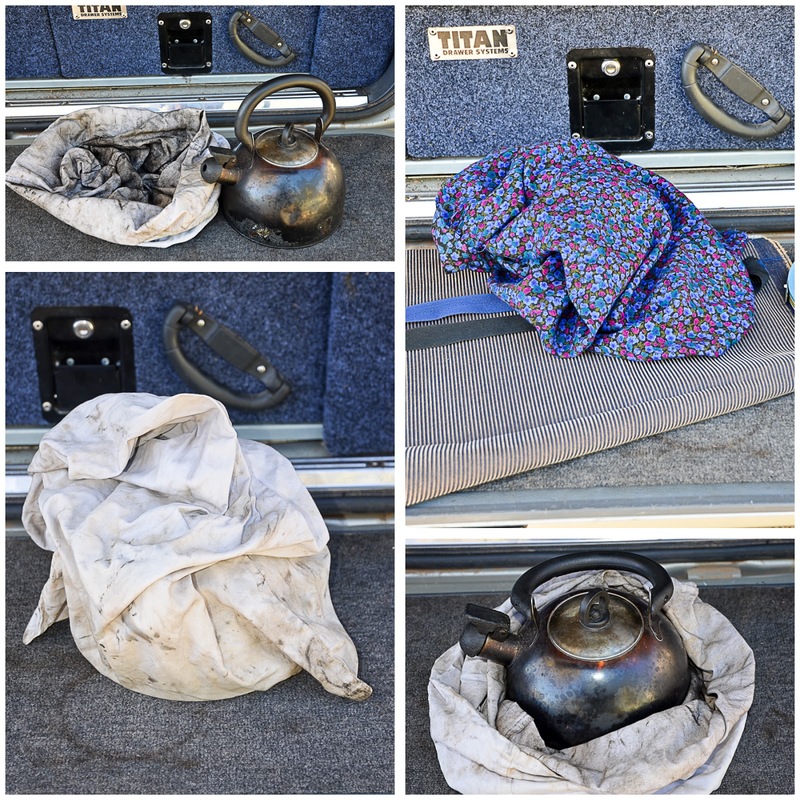 Not long after we started carrying the stove inside a billy - and packed the kettle in an old pillowcase. The other day I cut some pieces of pool noodle to hold the stove inside the billy, so it doesn't rattle in transit (see bottom pic). 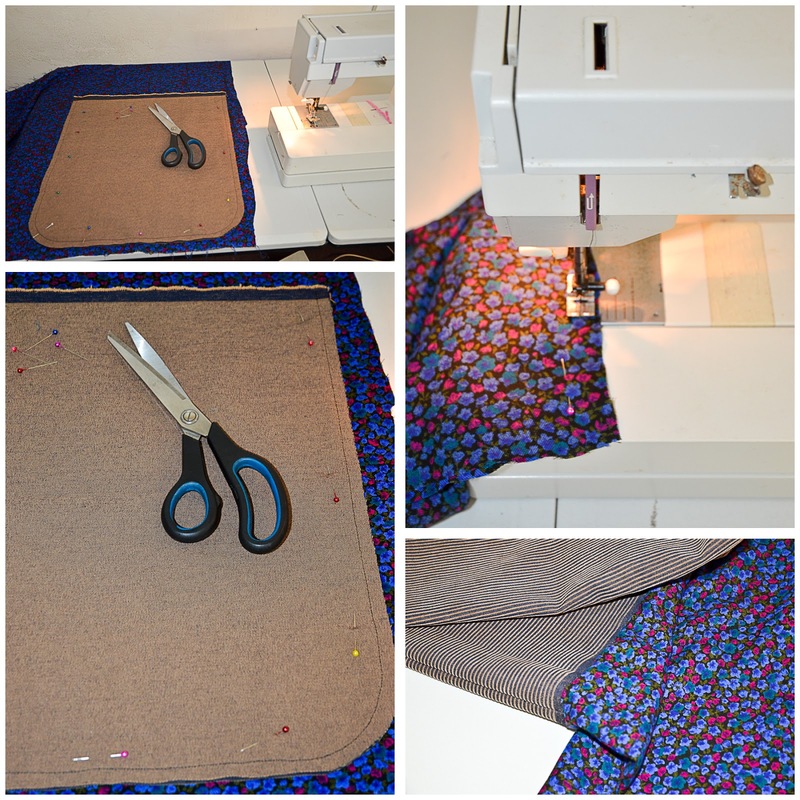 That success and my silk sleeping bag project prompted me to think of replacing the old pillowcase (which I had considered a temporary fix). I stayed up far too late last night, looking for ideas. I thought a bit more this morning, before heading downstairs to raid the infamous stash. (The stash has provided fabric and notions for a number of camping projects in the past). Erin will turn 25 this year. It was during my pregnancy with her that I attended sewing classes at TAFE. My sewing teacher helped me make one maternity dress and I cut out another, using a different pattern. The second dress was never completed and some of that fabric became the lining for today's bag. (I wanted a darker print because it will be blackened by the kettle). The outer material was a remnant purchased from an op-shop far more recently. 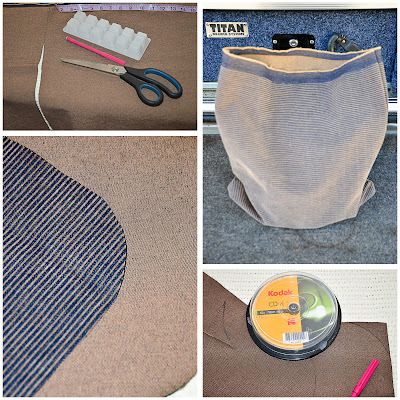 I followed the drawstring bag method on this tutorial, after deciding on fabric dimensions using calculations from here. I didn't make a fabric casing but rather used a length of wide twill tape. The drawstrings are ANZAC ribbon that I also used for my chair bag. I'm very impressed with the end result. It's definitely far more flash than the old pillowcase!